We are currently investigating carbon-climate feedbacks in the Earth System. Among the research questions we are currently exploring are -what are the factors resulting in the increase in global C uptake? What are the climatic factors leading to increased variability in the global C cycle? and what is the Earth's capacity to continue taking up atmospheric CO﻿2﻿. Earth's surface is not warming enenly as a result of human induced global warming. It is well documented that temperatures in the Arctic are increasing faster than at lower latitudes in response to radiative forcing by atmospheric CO﻿2﻿. However, over much of Earth's history surface temperatures were warmer than they are at present. 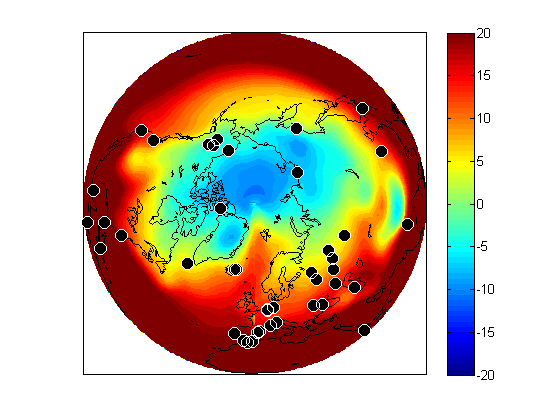 We are currently exploring the amplification of arctic surface temperatures by peering into Earth's climate past to better understand the mechanisms responsible for this enhanced warming at high latitudes. To explore past arctic amplification we are using the Pliocene as a natural climate experiment when atmospheric CO﻿2﻿ levels last reached 400 ppm. 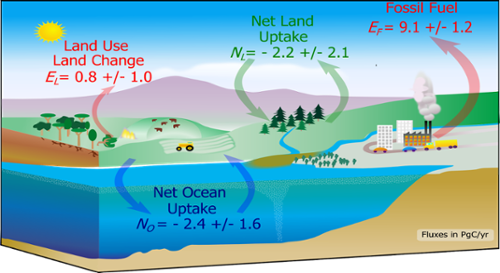 The severity and frequency of ecosystem disturbance is increasing globally due to warming temperatures and shifts in precipitation patterns. 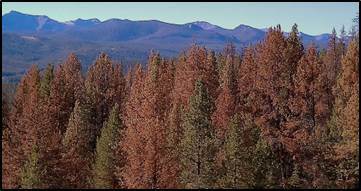 Increasing disturbance induced mortality of forests may be due to increases in water stress, which may reduce the resistance and resilience of forest ecosystems. The observed changes in disturbance regimes have the potential to greatly alter the C uptake potential of forests. While increases in disturbance-related mortality suggest that terrestrial C uptake should be decreasing, global C balance studies find terrestrial C uptake to be stable or even increasing, potentially due to the influence of CO2 fertilization on forest resilience. Reconciling results of disturbance induced mortality with carbon balance of forest ecosystems remains a challenge for earth system scientists.